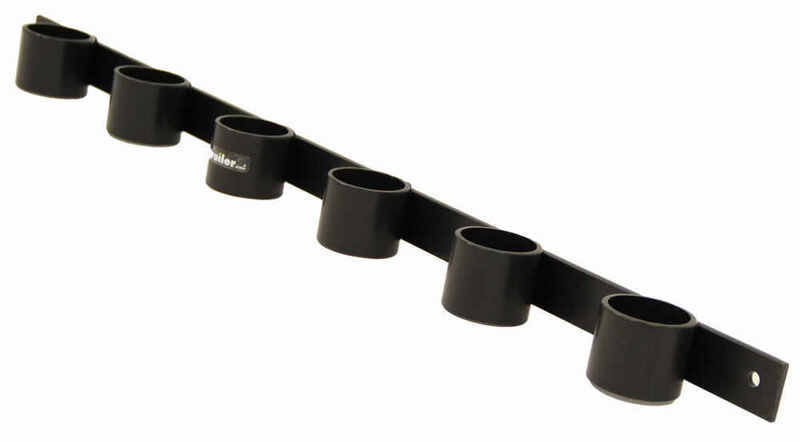 Keep your tools organized and off the floor with this wall-mounted, 6-slot tool holder. 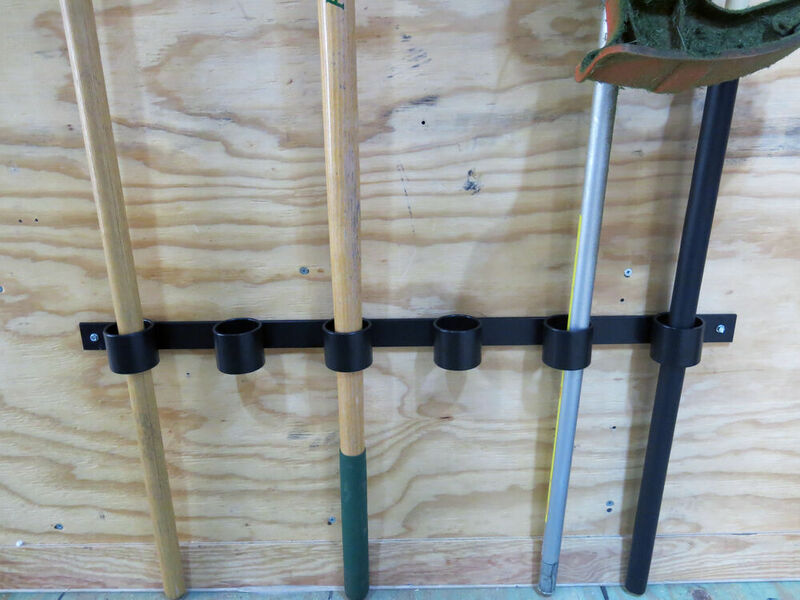 This sturdy, powder coated steel rack can be installed in your garage, shop, or utility trailer for easy access to your rakes, shovels, and other handled tools. Lowest Prices for the best trailer cargo organizers from Brophy. 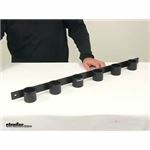 6 Slot Tool Rack - Black Powder Coated Steel - 33-1/2" Long part number TH6B can be ordered online at etrailer.com or call 800-298-8924 for expert service. 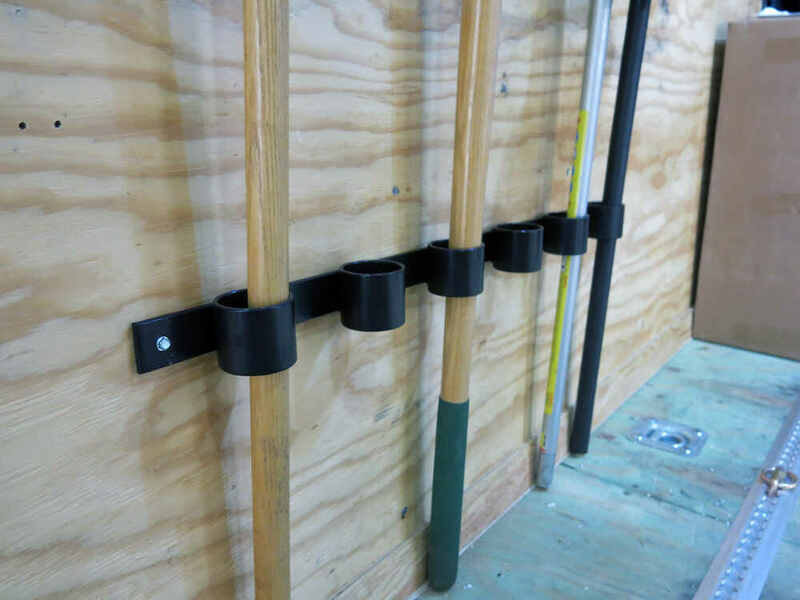 Keep your tools organized and off the floor with this wall-mounted, 6-slot tool holder. 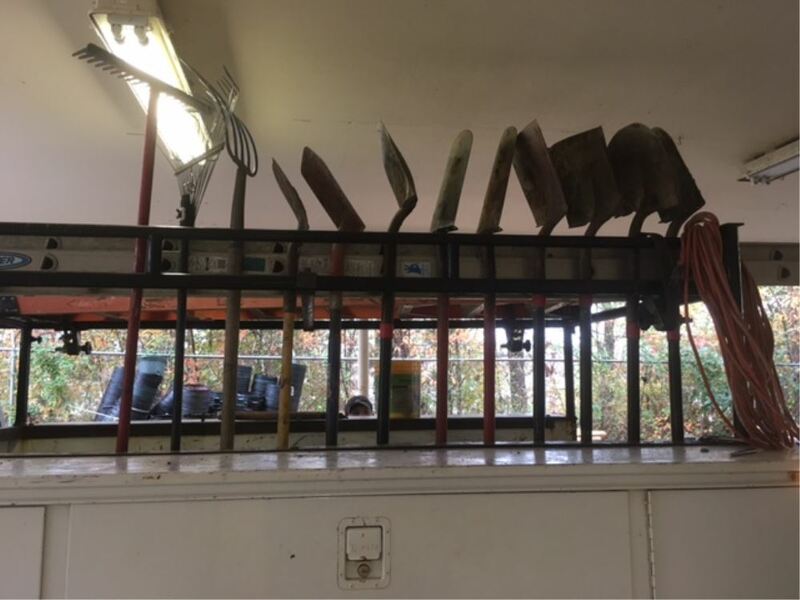 This sturdy, powder coated steel rack can be installed in your garage, shop, or utility trailer for easy access to your rakes, shovels, and other handled tools. 24x80x25 Outside dimensions. 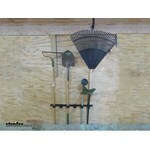 This heavy-duty steel basket allows you to store cargo above the deck of your open trailer. Lockable, 2-piece lid lets you easily access and secure your gear. Bolt-on installation. Fits trailers 72" to 84" wide. 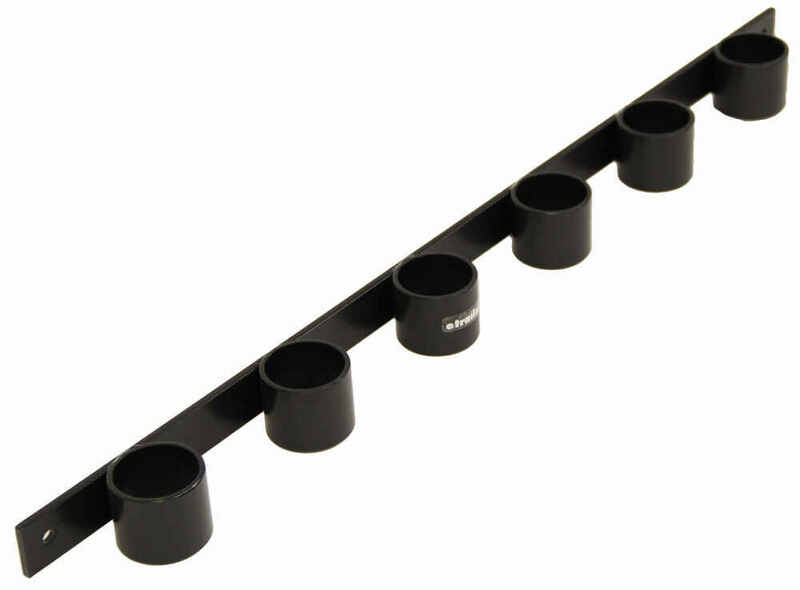 Speaker 1: Today we're taking a look at the 6-Slot Tool Rack from Brophy. 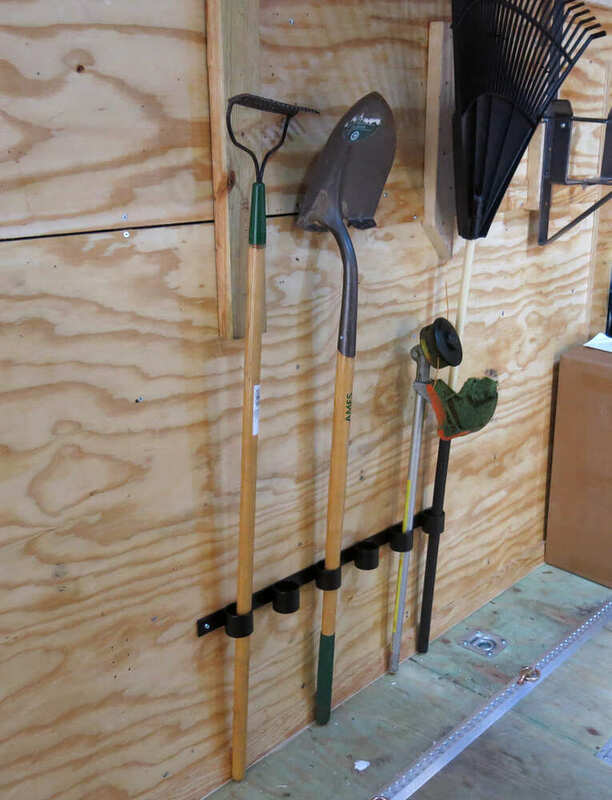 This versatile rack holds up to six rakes, shovels, or other straight-handled tools, and it keeps your tools organized and up off the floor.Each hold can handle up to 2" in diameter, so that's the available space in here. 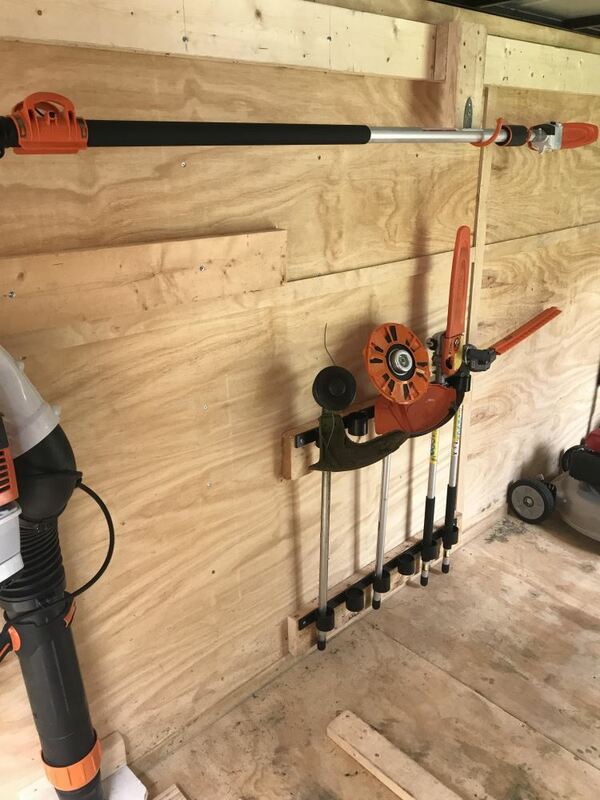 I did take a measurement of that and I actually got a measurement of 2-1/16" when it comes to that inner diameter or usable space to place in your handle for your shovel, rake, or whatever straight-handled tool you want to use this for.It's a really nice design. You got six individual holds. 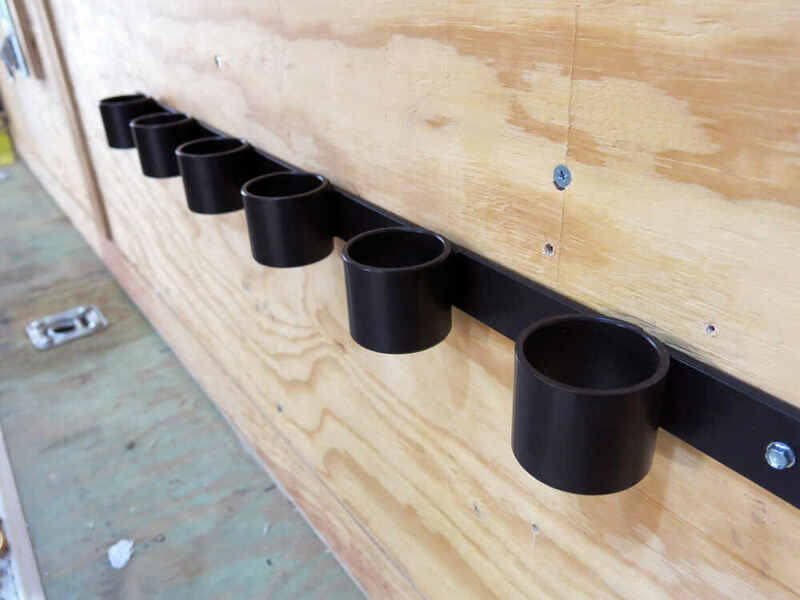 The unit is constructed of a sturdy steel construction with black powder-coated finishing, so it's very durable, and rust and corrosion resistant. 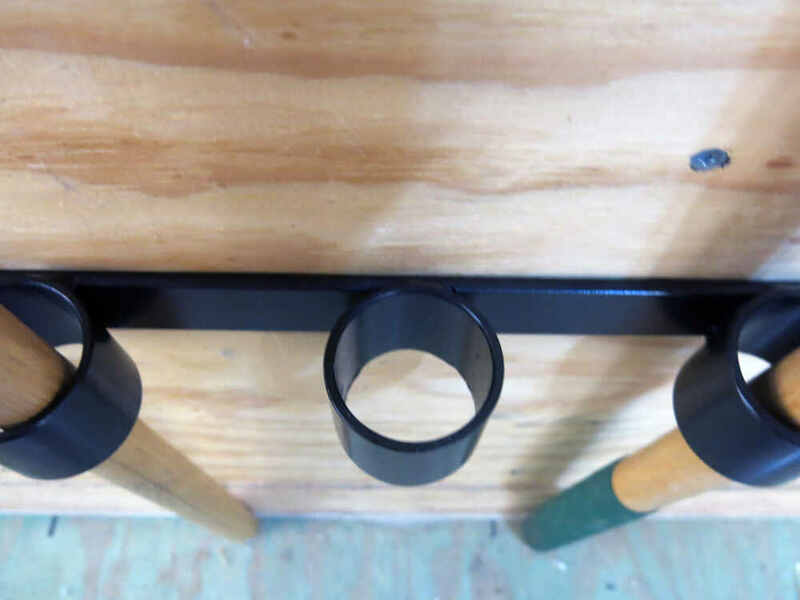 It does have the pre-drilled base, so you'll notice a mount hole located on each end, so that lets you easily mount the rack to the wall of your garage, in your shop, or even in your utility trailer.Hardware not included, the diameter of each hole is 3/8". The product is made in the U.S.A. 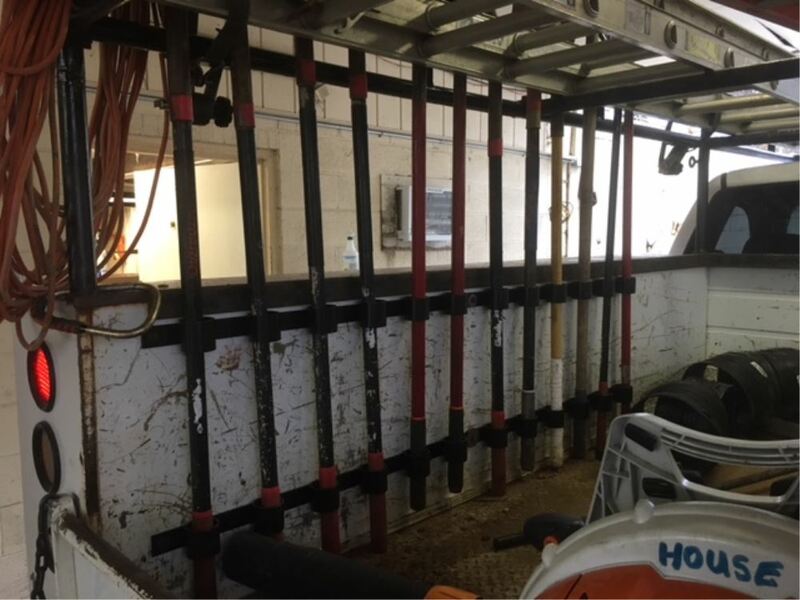 When it comes to that steel mounting bar that runs along the back, overall length from edge to edge is 33-1/2" long. Overall height of just that bar is 1-1/2", and then the thickness of just that bar is 1/4". Each holder measures 2" tall, top to bottom. The mount holes are separated on center by about 31-7/8", and again, the diameter of each mount hole is 3/8".When it's installed, it'll stick out from the installation area about 2-5/8" to 2-11/16", and the product weighs around seven pounds.That's going to do it for today's look at the Brophy 6-Slot Tool Rack..
Order: RelevanceNewestRating - High to LowRating - Low to High Keep your tools organized and off the floor with this wall-mounted, 6-slot tool holder. 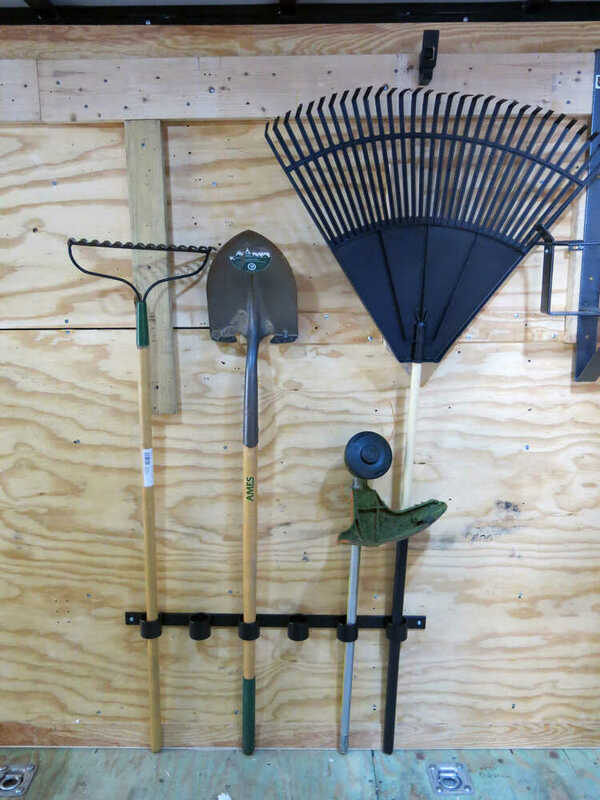 This sturdy, powder coated steel rack can be installed in your garage, shop, or utility trailer for easy access to your rakes, shovels, and other handled tools. its doing a great job. welded construction?? 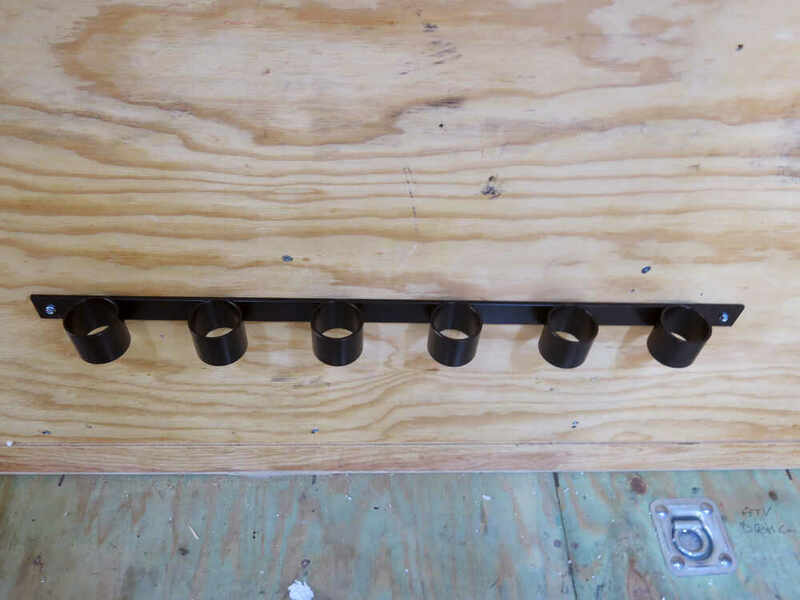 The diameter of the holes on the 6 Slot Tool Rack # TH6B where a shovel would insert is 2 inches. Overall this measures 33-1/2 inches. The mounting holes are 31-3/4 inches apart.